Recently I rebuilt a system to run Fedora 14. 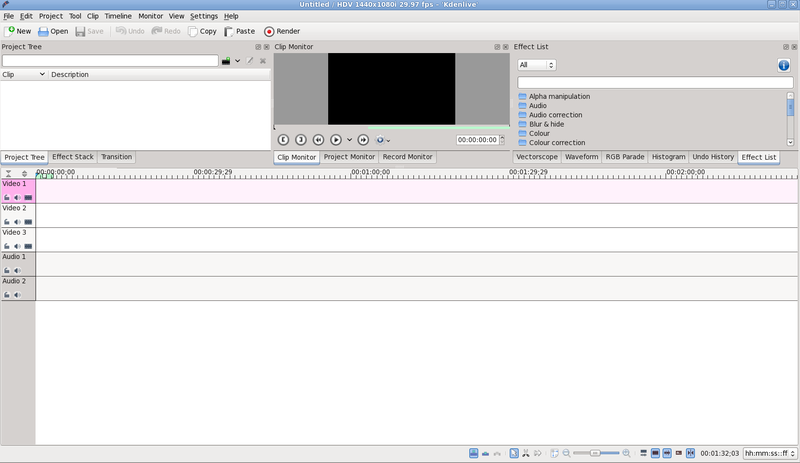 One of the many jobs I plan to use it for is for video editing and one of best Linux editors in development is Kdenlive. According to the site, Kdenlive is an intuitive and powerful multi-track video editor, including most recent video technologies. So let’s move on to the install. Part of the issue with installing Kdenlive is that it is not in the repository but can be found in the rpmfusion free and non-free repositories. So first step is to add the repositories. Now that the repository is loaded you need to run the install. If you run the command as you would normally it will fail getting libmlt. To resolve this issue you need to temporarily enable the rpmfsion-free-updates-testing repository and install Kdenlive. At the time of this posting 0.8.1 is available. Once the command is completed Kdenlive is available. Refer back to the blog for more postings on the adventures of using Kdenlive or feel free to explore yourself and use the great documentation on Kdenlive’s website. Note: With Fedora 15 you may have a crash caused by MLT. If you experience the crash you will need to downgrade MLT. You can do this by running the command.